Favorite Fudge Recipes is a collection of some of our favorite fudge recipes. After all, the holidays just aren’t the same without fudge somewhere on the hors d’oeuvre or dessert/cookie table. The fudge recipes in this collection are made using white chocolate, milk chocolate and semi-sweet chocolate chips. Most fudge recipes can be whipped up in under 10 minutes. Perfect to bring to holiday parties, work parties, school or just because. All of the nine fudge recipes have something extra added for that something, something. From crushed candies and cookies, to dried blueberries, cherries and mixed fancy fruit, to mini marshmallows and nuts, the nine fudge recipes below have everything you want in fudge and so much more. So what are you waiting for? Tis’ the Season to make some fudge and better yet, Tis’ the Season to eat some fudge! Dried Cherry Fudge and Murdick’s Fudge Murdick’s is the “Original” Mackinac Island Fudge since 1887. You can order Original Murdick’s Fudge online or make this recipe for Dried Cherry Fudge. Better yet, why not make this recipe for dried cherry fudge AND order some delicious Original Murdick’s Fudge. 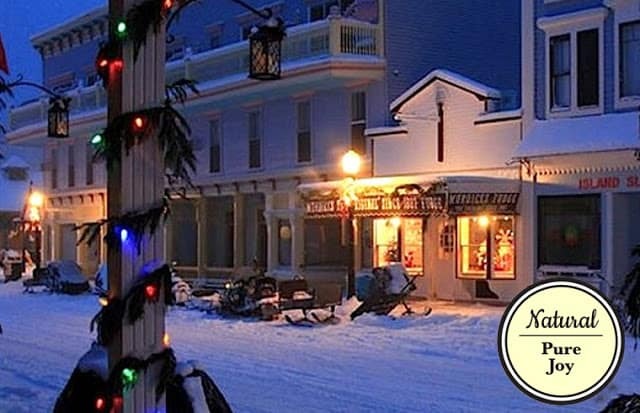 Murdick’s has over 20 hand crafted varieties of fudge to choose from. White Chocolate Blueberry Fudge Is a silky smooth fudge made with premium white chocolate chips. 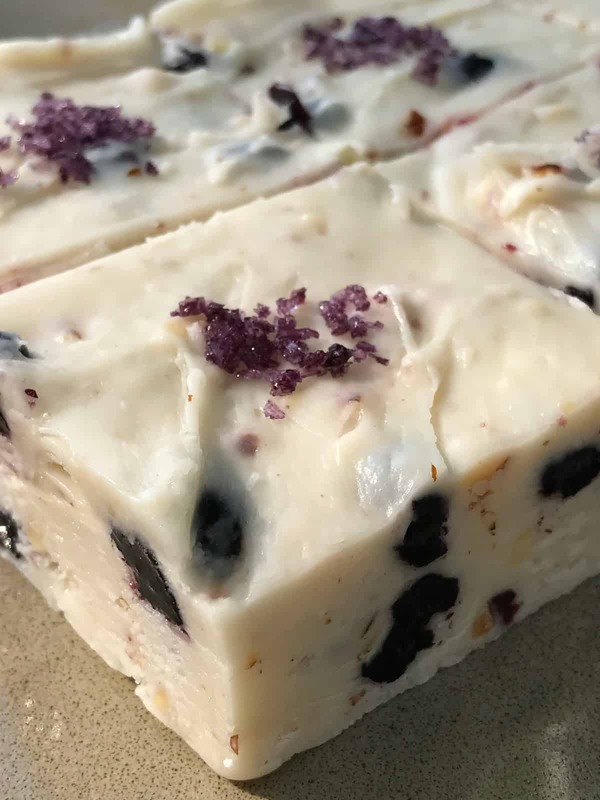 White Chocolate Blueberry Fudge is made with dried Michigan blueberries but the secret ingredient is Nordur Blueberry Salt Nordur Blueberry Salt is added to the melted white chocolate mixture and then each piece of fudge is sprinkled with a touch of blueberry salt. Rocky Road Fudge A truly delicious fudge. Made with chopped walnuts, mini marshmallows and chocolate chips. This silky, satiny fudge is so worth it. If you are a fan of anything rocky road, you will flip over this recipe. 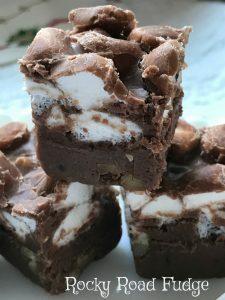 If you’re on the fence about rocky road, then one bite of this fudge will definitely push you over the top and you’ll become a rocky road fan with just one bite. The remaining list continues below, starting with White Chocolate Candy Corn Fudge. 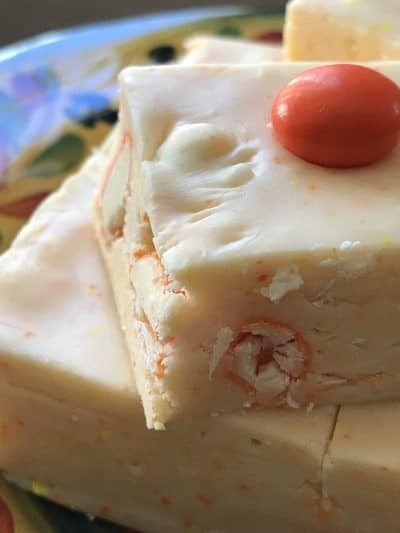 White Chocolate Candy Corn Fudge This delicious fudge is made with m & m’s candies. One of my favorite candy. Premium white chocolate chips are combined with coarsely chopped, candy corn flavored, white chocolate m & m candies. This fudge is the perfect fall-flavored fudge. 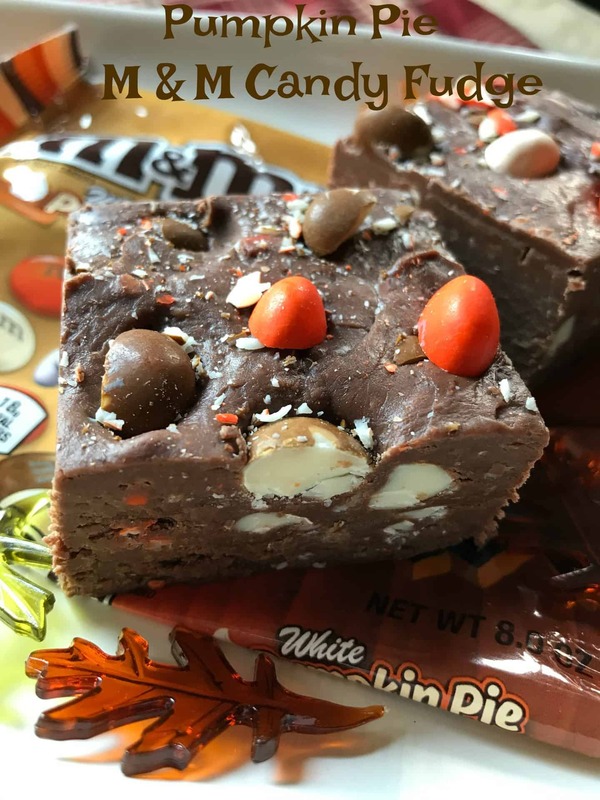 Make this fudge when white chocolate m & m’s can be found in stores. Candy Cane Fudge One my all thyme favorite fudge flavors. 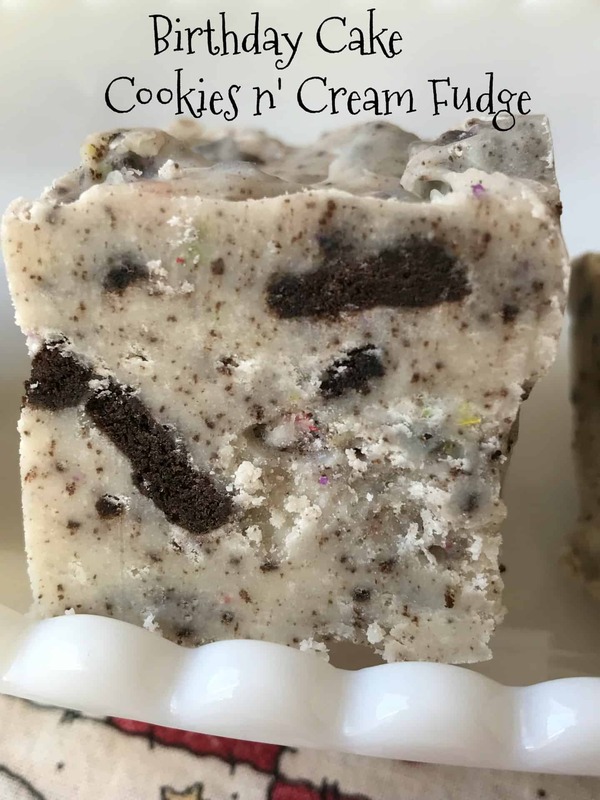 The inspiration for this fudge came about from a popular peppermint candy that can be found during the holiday season. Ghirardelli Chocolate Squares, Dark Chocolate Peppermint Bark. 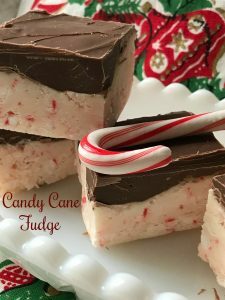 Candy Cane Fudge is not only is this fudge irresistible, it tastes super close to the ‘inspiration,’ that you can make this delicious fudge anytime of the year. 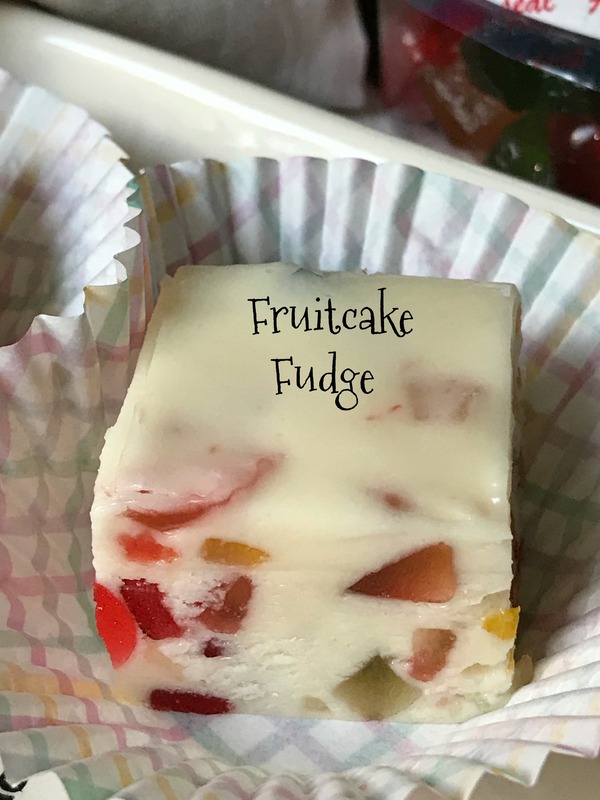 Fruitcake Fudge or Jeweled Fudge A delicious white chocolate fudge with the addition of a secret ingredient. The secret ingredient in this recipe is Extra Fancy Fruitcake Mix from a fantastic dried fruit company that I had the pleasure to create recipes for called Paradise Fruit Co.
Carnation Famous Fudge This recipe has been on the back label of a can of Carnation® evaporated milk for a very long time. 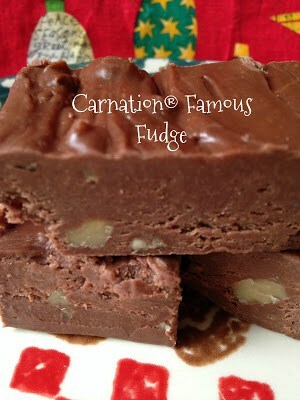 Carnation Famous Fudge turns out smooth and creamy each and every time I have made it. That could easily explain why this fudge recipe is so famous! I have made this recipe with and without nuts and either way, this recipe is super.